The Great American Clarksville Gun Show currently has no upcoming dates scheduled in Clarksville, TN. 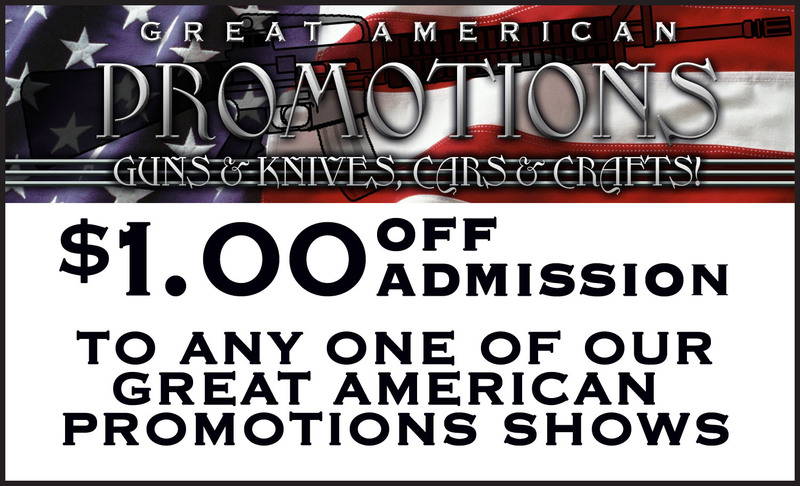 This Clarksville gun show is held at Clarksville National Guard Armory and hosted by Great American Promotions & Great American Promotions (Tennessee). All federal, state and local firearm ordinances and laws must be obeyed. More of a Flea Market than a gun show. Gutters, jerky, jewelry, and a few guns.